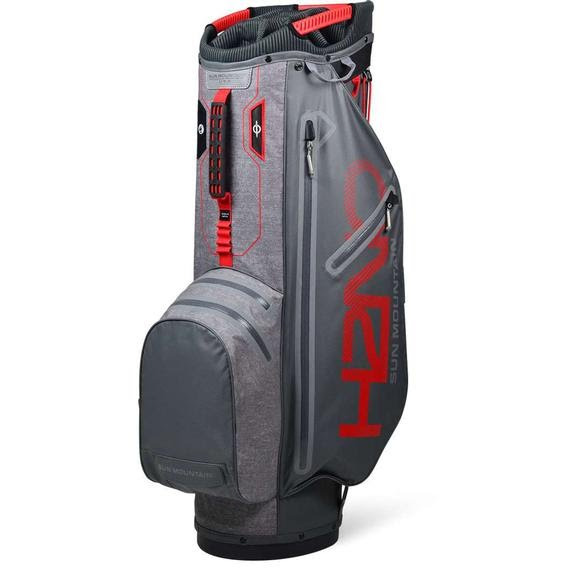 Sun Mountain Sports' H2NO SuperLite Cart Bag weighs less than five pounds and has a 10.5 inch 14-way top with individual, full-length dividers, including a putter compartment. Designed for riding or push cart use, all pockets are forward facing for accessibility. Sun Mountain Sports &apos; H2NO SuperLite Cart Bag weighs less than five pounds and has a 10.5 inch 14-way top with individual, full-length dividers, including a putter compartment. Designed for riding or push cart use, all pockets are forward facing for accessibility.